Welcome to Rock Hill Gymnastics! Our Tumbling classes are geared to teach boys and girls aged 6 and up, basic to advanced tumbling skills. During the class they will learn skills ranging from basic cartwheels, to back handsprings, as well as advanced tumbling skills. They will also have the opportunity to do drills that will perfect their skills and build strength. 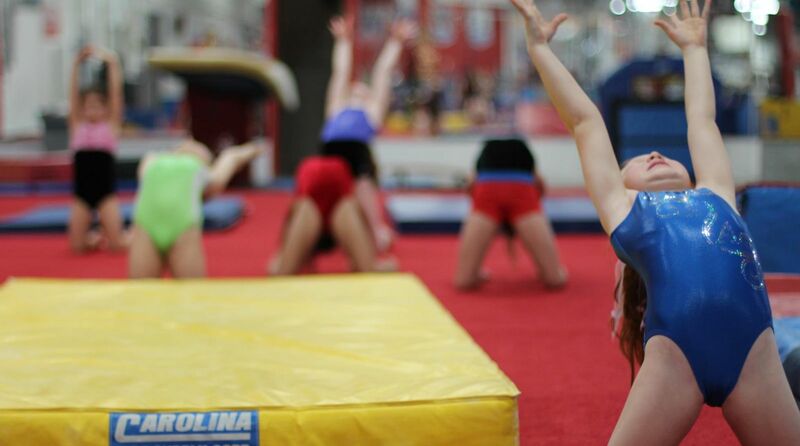 Our facility is the largest gym in North & South Carolina with over 50,000 square feet, a dedicated Cheer Gym, expanded pre-school area, and three pits: a trench bar pit, a foam pit, and a 40 foot in-ground tumble trak pit.